The trade deadline came with a sense of anticipation for Oilers fans, as they presumed GM Craig MacTavish would be able to move some pieces for prospects or young players, thus continuing to improve upon what the team already had. This year was determined to be a seller’s market, with rental players moving at high prices. But as the deadline came and went, the Oilers made just one move, sending Jeff Petry to the Canadiens for a couple of draft picks. They got what he was worth no doubt, but considering the temperature of the market, it was a disappointment they couldn’t finagle more out of the deal. But here we are, with the Oilers poised for a stretch run straight to the NHL draft. Craig MacTavish must believe one of two things about his team. 1: The core is solid enough and they just need to continue to build around it. Or 2: It’s better to wait until the summer, see what draft position they’re in and decide whether or not to have a fire sale. There is a belief that the Oilers don’t have much to offer in terms of selling assets, if they want to get something significant back in return. But look at what the Sabres did at the deadline. They cleared house in the likes of which we haven’t seen for a long time. And no offence to Chris Stewart, Brian Flynn or Michal Neuvirth, but it’s not as if Buffalo had real gold to give away. But they understood the need to strip things down to the bare bones. The trade the Sabres made for Evander Kane was perhaps the most significant. He’s hurt now, sure. But he’s a young player who is proven to be able to score goals in the NHL. They are rebuilding yes, but they also know they’re going to need some real players moving forward. The Sabres got what they could for players that weren’t going to part of the team moving forward. The Oilers did no such moves. But that doesn’t mean Craig MacTavish is finished by any means. The Oilers do have some good young pieces, and they’ve been collecting those assets for a while now. In fact, the rebuild process in Edmonton has been going on since 2010 when they chose Taylor Hall first overall. We can identify that a team really has three areas of core needs: Goaltending, defence and center ice. In January of 2014, the Oilers traded for Ben Scrivens, who had been performing quite well in Los Angeles, and subsequently re-signed him to a contract extension in March of the same season. They traded for Viktor Fasth that same season, though he is set to become a free agent this summer. Yes, the goaltending situation in Edmonton is obviously well taken care of… and I couldn’t even type that with a straight face. Either the Oilers have a plan up their sleeves to acquire a goalie in the summer or they really believe Ben Scrivens is their guy moving forward. His stats in case you were curious: 12 wins, 2.91 goals against average and a .899 save percentage. But honestly the Oilers defence is so bad, no goalie really stands a chance to succeed. Now granted, the free agent market for goalies this summer is, in a word, terrible, but MacT is fully capable of making a good trade and bring in a goalie to solidify the position. (Smiles). Alright let’s move on. Every team needs to have a strong number one defenceman, a guy who can eat up a lot of ice time, play against the oppositions best players and perhaps even contribute with offence. The Oilers thought (more like hoped) they were getting that guy in Justin Schultz, which is why they went to so much trouble to get him signed. It’s humorous looking back at the way teams fell over themselves trying to woo him. Untapped potential can go a long way, can’t it. We’ll never forget when MacT claimed Schultz was a Norris-Trophy caliber defenceman. It’s hard to forget when you watch him play on a game to game basis. Alright so Schultz hasn’t panned out so far. But the Oilers had another idea. How about bringing in an experienced veteran defenceman, who has won a Stanley Cup, who is from Edmonton, to come in and help nurture the young group of players in the room. In fact, before he even touches the ice, why not name him team captain. 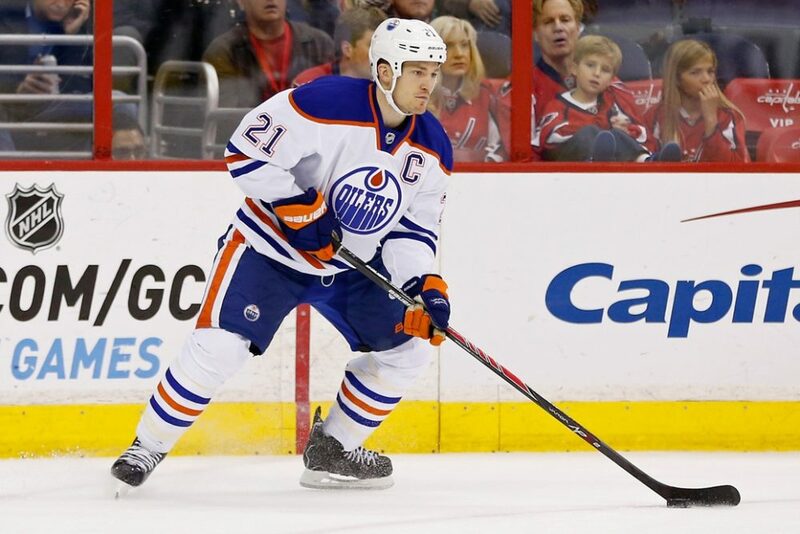 Sarcasm aside, Andrew Ference was never going to be a top defenceman for the Oilers. He wasn’t one for the Bruins. They were a good team, they were well coached, they had an All-Star goalie and they played a solid defensive system. All of that made Ference seem better than he actually is. Look the concept made sense. Hometown boy, Stanley Cup ring, invaluable experience, grit and character. But Andrew Ference isn’t really a good player. And his simply relied upon way too much by the Oilers. And it’s not because they think he’s Norris caliber, but it’s because there really isn’t anyone else to take those minutes. 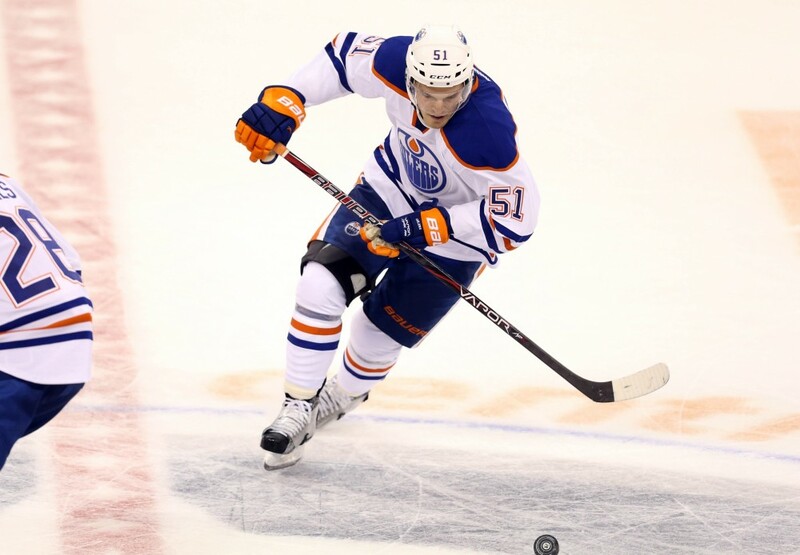 Maybe the Oilers believe Darnell Nurse will be the guy for them in the future. He still needs a lot of seasoning and refinement in his game, but he’s got potential. Then again so did Justin Schultz. How is Center Ice Looking? Ryan Nugent-Hopkins is a good player. Is he big enough and strong enough to go toe-to-toe with the best center icemen in the league? Maybe not yet, but he’s got the skills, and he’s got the hockey sense to do it. Being strong down the middle is so important, and other than RNH, the Oilers are pretty thin. The acquisition of Derek Roy turned out to be a great move, but where does he fit long term? They drafted Leon Draisaitl, which was a good choice because of his size. He is tearing it up in Junior, but how will that translate at the NHL level? It’s too soon to tell. Anton Lander has looked good lately, but he is at best a number three guy. 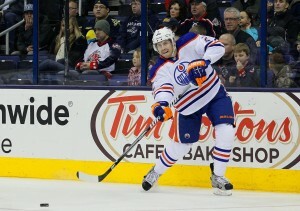 He’s a restricted free agent this summer, and the Oilers should re-sign him. He won’t be looking for a huge raise. So if we can project to the future, not next year but let’s assume the year after, the Oilers could have a one-two-three punch of Nugent-Hopkins, Draisaitl and Lander down the middle. How does that make you feel in terms of confidence? Craig MacTavish isn’t finished re-building. He can’t be. There are too many holes, and too many unknowns. But when you look at the roster as currently constituted you just have to wonder: What have the Oilers been doing for the past five years?